The suspect, Takahiro Shiraishi, dubbed the "Twitter killer", reportedly lured his victims -- aged between 15 and 26 -- by trawling social media. 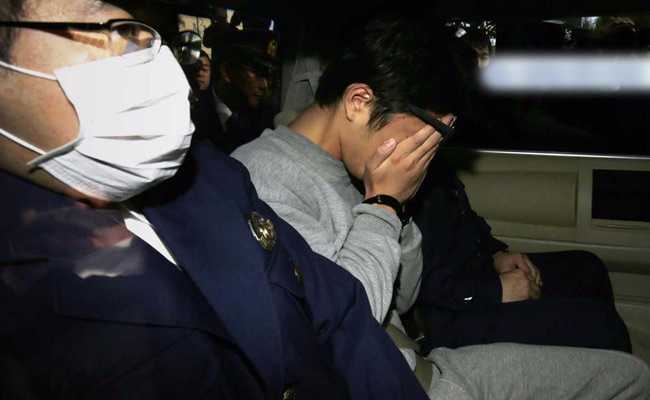 Suspect Takahiro Shiraishi, face covered, leaves for the prosecutor's office from a Tokyo police station. Tokyo: The grisly beheading of nine young people lured by a suspected serial killer after tweeting suicidal thoughts has sparked debate about the use of social media in Japan, which has one of the world's highest suicide rates. The suspect, Takahiro Shiraishi, dubbed the "Twitter killer", reportedly lured his victims -- aged between 15 and 26 -- by trawling social media, and the gruesome discovery has prompted the government to consider tightening internet regulations to restrict suicidal posts. But some experts say social media provides an important means of emotional release in a country grappling with strong cultural taboos around suicide and depression and caution against any clampdown. Police apprehended Shiraishi while investigating the disappearance of a 23-year-old woman, who had reportedly tweeted she wanted to take her own life. "I'm looking for someone to die with me", she tweeted using the hashtag "suicide recruitment". Like his other victims, Shiraishi reportedly used social media to draw her in, telling her he could help her commit suicide or even die alongside her. But Twitter also proved to be his downfall, as police persuaded a young woman to contact him via social media to arrange a meeting, enabling investigators to trap him. Four days after the bodies were found in Shiraishi's apartment in a Tokyo suburb last month, Twitter unveiled new rules stating that users "may not promote or encourage suicide or self-harm" but it stopped short of banning tweets expressing a wish to kill oneself. For its part, the government is considering tightening regulations on "inappropriate" websites on suicide, Chief Cabinet Secretary Yoshihide Suga said last week at a meeting with ministers. Suga added the government should also boost support for young people who post desperate messages online, but did not offer further details. While the overall suicide rate has been falling since its 2003 peak, it has continued to rise among young adults and schoolchildren -- the most likely users of social media. Some 500 Japanese under 20 years of age kill themselves each year and a Nippon Foundation survey last year showed that one in four people had seriously considered suicide. In some cases, victims have committed mass suicide after meeting on so-called "suicide websites", a phenomenon that has prompted the government to crack down on people using the internet to post their death wishes. The issue first hit the headlines in 2005, with 91 people in total committing "group suicide" after contacting each other online. In response, the police and communications ministry asked internet service providers to contact them if individuals posted suicidal thoughts online and included details of when and where they planned to kill themselves. A year later, police began requiring internet providers to delete websites that encourage suicide or recruit people who want to commit mass suicide. But their efforts have not paid off. In 2009, five people attempted to commit suicide by burning coal briquettes inside a car in Fukuoka in southern Japan after contacting each other online. A 30-year-old man suffered brain damage as a result, while the other four people were arrested for failing in their responsibility to protect lives and for assisting suicide. Experts say the authorities' approach to the issue risks isolating suicidal individuals even further. "It has long been a taboo in Japan to talk about death and suicide... but it's easy to talk about it on social media," Akiko Mura, an executive member of Befrienders Worldwide Tokyo, told AFP. The Tokyo branch of the non-profit suicide prevention group, which offers a hotline phone service from 8:00 pm to 6:00 am, receives non-stop calls throughout the night. "Those who want to die want to be accepted as they are and don't want to be told to cheer up," Mura said. She said Shiraishi would have likely gained the victims' trust by convincing them that he understood their desire to die. "They might have thought he was the only person who would sincerely listen to their problems," she said. "People need a place where they can be heard," she said. "Without it, I'm afraid the number of suicides might even increase."